The humming Senju continued to string together some useless lyrics to a tuneless melody as she skipped her way through the woods. At the end of winter, yet not quite spring, the snow still piled up in mounds along the ground. There was really no apparent reason for the girl to be out here in the middle of the day, but being a Senju, Tsu simply enjoyed time out her natural element. The woods, plants, greenery, well not quite so green considering the trees had long been in hibernation for the winter, though the skeleton trees were still made of wood, just wood that was asleep. Tsu’s long green braids swung behind her, going down to her waist in length. She wore a thick purple coat and dark colored tights that tucked into her black boots that trudged through the snow. On her hands were black fingerless gloves, and around her neck hung like a necklace, was her Konoha forehead protector, symbolizing her status as a ninja of the Hidden Leaf. The day was rather nice for one in the late winter, hardly a cloud in a grey blue sky. It was not as cold as it had been in the last few winter days, and drips of water could be seen falling from the icicles on the tree branches. Continuing her hum, Tsu took her leisurely stroll through the woods. With no set destination in mind, the girl had no reason to rush, she was simply enjoying herself. After having a visit at her mother’s grave, and an impromptu battle with her Uchiha friend, she wanted to have time to relax and hopefully not get into another battle. It wasn’t that she was afraid to fight, but it did remind her how inexperienced she was in fighting and how she needed to get stronger. Father still hadn’t returned from his mission, and Tsu was wondering when the elder Senju would come back. She still had so many things to talk to him about, like her promotion, her new friends, Ruuto’s soon to be entry in the ninja academy, her work on her medical mokuton jutsu, just so many things still left unsaid. Tsu though, didn’t want to get herself down over waiting for him, she was a ninja of Konoha of her own and she needed to take of herself. That was perhaps one of the reasons why she was out today. A walk in the woods would clear her mind, make her not worry about her father too much. She was sure he was a strong shinobi, so there really was no reason to worry anyway. A neutral smile stayed on her face as the girl took in the wintry scenery. A big breath in and out, she giggled to herself as she saw a cloud of water vapor form in front of her face. Stopping suddenly, the girl looked up as if she was expecting something to happen. After a moment of stillness, Tsu shrugged to herself at the silliness of the hunch. Tsu was just about to contine her walk, when suddenly she was hit with a small pile of wet snow. “Gah…!” Tsu gasped aloud, the wet ice covered her head and trailing down her neck. S-so cold! The girl sadly shivered, now cold and slightly wet. He was right; it would be great day for a walk in the woods. His love for nature had grown tremendously after his last training day with his Hyuga friend. Taichi walked back into his house, he was happy; after all today was a great day. He moved towards his shower, removing his clothing, and began to cleanse himself. He was one of those people that had to take a shower every morning. It was just a forceful habit by now. After his lengthy shower, he dried himself off, wore a basic white t-shirt, his pants, a warm red jacket, his shinobi sandals, and ended it off with his specialized shinobi gloves. His gloves were his replacement of the normal and basic shinobi headband. He preferred showing his shinobi status on his hands, where people could see them while he beat the up. Taichi walked to his kitchen, as he poured himself a bowl of cereal and some milk. As he ate slowly, he wondered about where he mother might have been. Every day he wondered where she might have been. She hasn’t popped in the home for about a month, much later than he expected her to come. She was supposed to show up every 2 weeks, especially since Taichi had to take care of himself after his grandparents died. God, he missed them both. His grandmother’s delicious cooking, and his grandfather’s rigorous and fun training sessions. They were both so important to him, and them both losing their lives to a stroke on the same day, in the same hour, just wasn’t enough for Taichi to hold. The only family member he currently has, he has no idea where she is. He decided to stop worrying about his mother, and got on to walking outside. He got out of his house, locked the front door, and any openings to the house, and made his way to the forest. Taichi started to smile as he gaily walked towards the woods. The more he walked the better he felt. As he breathed in the fresh spring air, he loved to go out on walks when he wasn’t training. It was about to become spring, while winter was had just passed. It was still cold out, and there was still snow, but it was slowly fading away. The longer he walked the happier and more cheerful he felt. He wanted today to be a day without training. If his grandfather was still here, he would have never allowed it. Yet, while not having them here was sad and bad for Taichi, he had the opportunity to do things he never could. Biologically, his prefrontal cortex has yet to develop so he is incapable of making very rational thoughts, but he still can make some. As he opened his mouth, to breathe in a large amount of air, the air tasted like ferns; which was usual for Konohagakure, especially in this time of year. Taichi didn’t really feel any cold at all, even though he wasn’t wearing much. He actually felt pretty warm. After all, nature was his primary habitat. Most Senjus were one with the nature that was what senjutsu was all about. Now Taichi started dreaming about what he could do with Senjutsu. All he heard about it were rumors, his grandfather didn’t have it but he’s seen people with it. 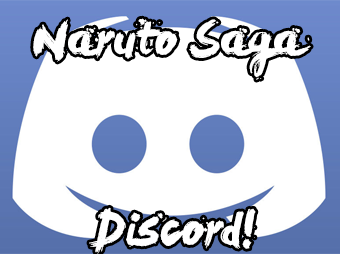 He saw talked about the legendary Naruto and all of his travels. They all seemed like fairy tales to Taichi, things that were all made up to satisfy a child’s needs. Yet, he enjoyed listening to them all the time; mostly because his grandfather told them to him. All he had of his grandfather was his staff, as well as Taichi’s memories of him. The more he thought of the old ossan the more his eyes started to tear up. While Taichi was half crying, he started to hear something or someone in the distance taking heavy breathes as well large footsteps. He was intrigued by the sounds, so he decided to investigate; as he wiped his tears off. The closer he was the louder the steps got. Once he reached the source of the sound, it seemed to be a girl. 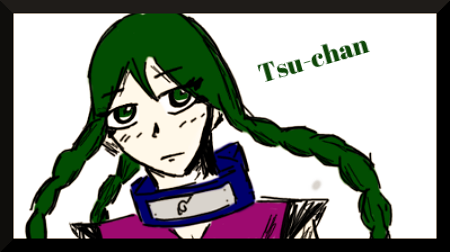 She seemed about Taichi’s age, she had 3 green braid, a thick purple coat, and dark colored tights. She was a Shinobi of the hidden leaf, but shouldn’t she be ashamed of herself making all this noise? What a lack of responsibility… The more he followed her, the more intrigued he was about her, but he didn’t want for her to know he was there. Taichi wasn’t a creep, and this wasn’t like him but he just couldn’t help himself. She was fairly cute, but Taichi never thought that way, after all women weren’t his thing. The girl then released a big breathe of air, and then started to giggle as she saw the water vapor. He couldn’t help but think how immature that was. She seemed like she was 13, and she was still giggling about water vapor? What kind of Shinobi does that? Shinobi have to be strong, and mature. Giggling at the sight of water vapor rules out both of those things. Taichi then seemed to wonder why she was here after all. It was intriguing, what would a girl be doing out in the woods all alone? Then she suddenly stopped… She looked up as if she expected something to happen. As Taichi looked up he saw a small pile of snow that was about to fall. He could have helped her, but he wouldn’t have reached there in time. The snow fell on her, and as she gasped out loud, the wet ice was all over her. Taichi got out of his hiding spot as she seemed wet, and decided to help her out. He walked towards her , and got ready to speak.